XIII. Date of Next Regular Meeting: Thursday, March 21, 2019 XIV. Adjournment Contributions of no more than $50 per member per year are accepted to meet the costs of our operations. This entry was posted in Uncategorized on February 21, 2019 by Chris Boone. This entry was posted in Meeting Agendas, Uncategorized on January 25, 2019 by Chris Boone. 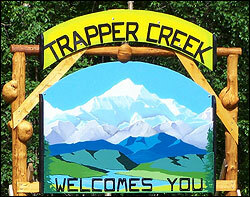 The Trapper Creek Community Council is seeking candidates for its Board of Directors. Interested Trapper Creek residents have until January 18, 2018 to make application. Applications for candidates are available at the Trapper Creek Post office and Library, or by emailing trappercreek2010@gmail.com. Five seats are open on the Board, and the two candidates who receive the most votes will receive two-year terms. The other candidates will be seated for a single year. This entry was posted in Uncategorized on December 8, 2017 by Chris Boone. 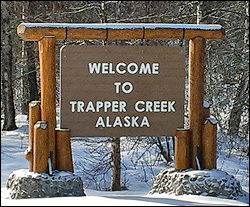 Trapper Creek Community Council will NOT be meeting this month, October 19, due to NO quorum. We will resume meeting on November 16 at 6:30 pm. This entry was posted in Uncategorized on October 18, 2017 by Chris Boone. This entry was posted in Uncategorized on February 3, 2017 by Chris Boone.